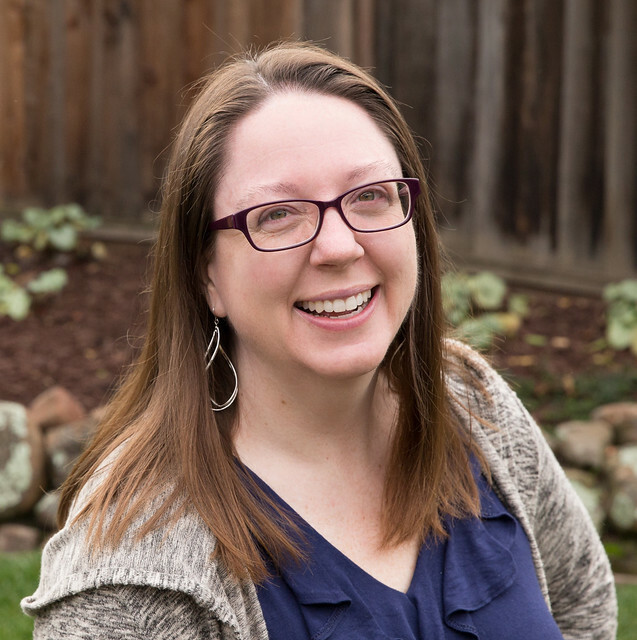 A couple days ago I set out to clean my sewing room. (It desperately needs it!) Well, true to form, I got distracted. I had some mini makes in mind for January and hadn't quite decided what I was going to create or what fabric I was going to use. Well, in the process of cleaning up I had a pile of little leftover HSTs. Naturally, it's considered "cleaning" if I make that pile into one mini quilt top, right? These were my scraps from some secret sewing I can't show you yet. ;-) Now this 8" x 10" quilt top will become a mug rug. Then I picked up a bag of project scraps. 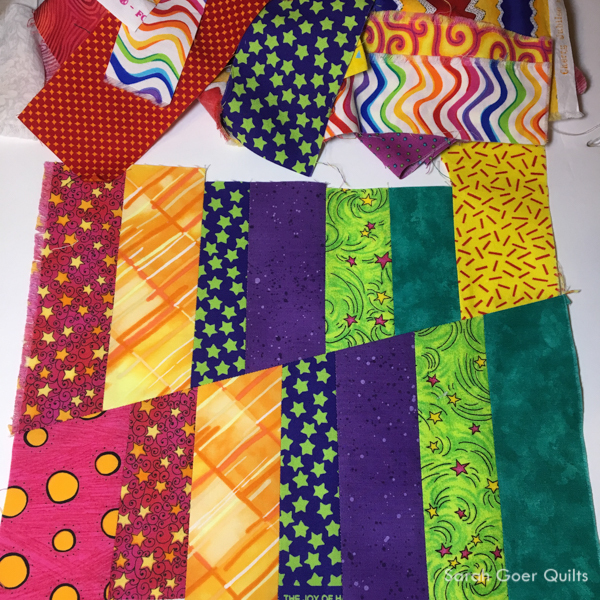 You see, for a while I intended to make a block from scraps from each quilt I've ever made for an epic memory quilt. I think the idea would be fun, but after making just two blocks and them languishing in the bottom of the WIP pile, I decided that project wasn't for me. I haven't taken the time to sort those scraps (and in some cases yardage) back into my greater stash, but I have pulled from these bags on occasion for a variety of projects. And this week it hit me that I could use these bags for my mini makes. From my Midnight Mystery project scrap bag I made this little mug rug quilt top. The Midnight Mystery quilt top was completed long ago, but apparently there aren't any pictures of it on the blog. It's quilted and sitting next to waiting to be bound. I pulled another colorful scrap bag from the pile. This one is from my Candy Shoppe quilt. Here's the first of a few mug rugs coming from these scraps. Did you see my last post? 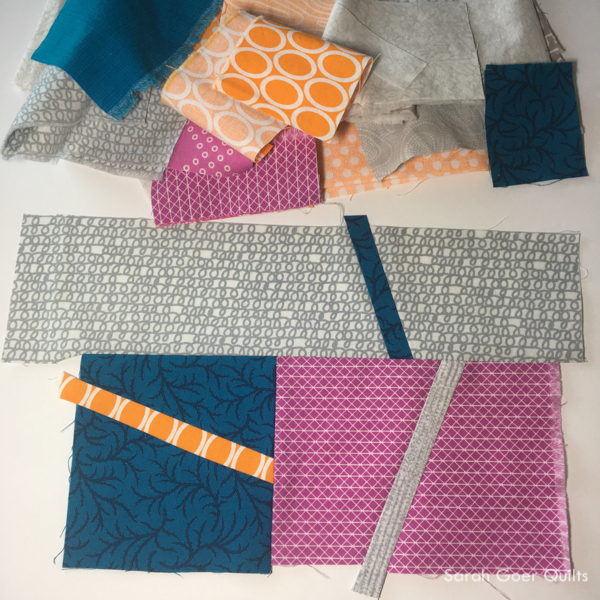 There's a great block tutorial, and be sure to enter for the fabric giveaway! 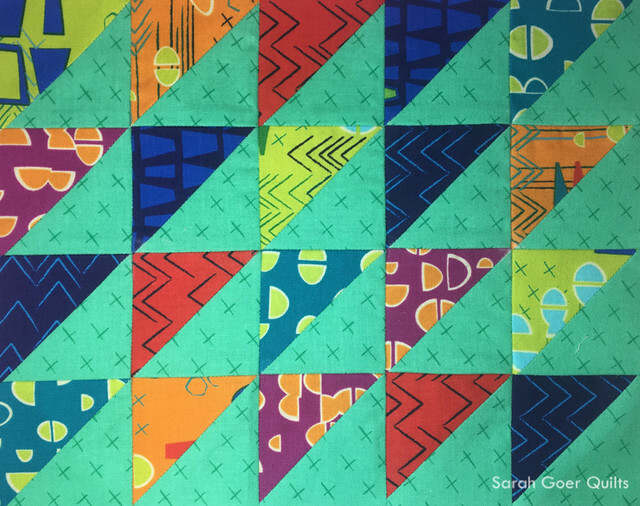 Posted in Quilting on December 24, 2017 by sarah. I've started making burp cloths as small projects to use up leftovers (and some flannel yardage for the backs). Piecing together small pieces of batting, finished size about 12" x 18". Some are for gifts and others for a local charity. Many are finished with a serged edge. That is another great scrap buster! Thank you for sharing, Sally. I love those Modern Marks scrappy HST's. Pairing it with the mint crossmarks background is genius! !